Computer Science graduate student Tongyang Li has been named a 2018 recipient of an IBM PhD Fellowship Award. Li is in the third year of his PhD program in the Department of Computer Science, and his research focuses upon theory aspects of quantum computing. Li is advised by Andrew Childs, a professor of computer science and co-director of the Joint Center for Quantum Information and Computer Science (QuICS). 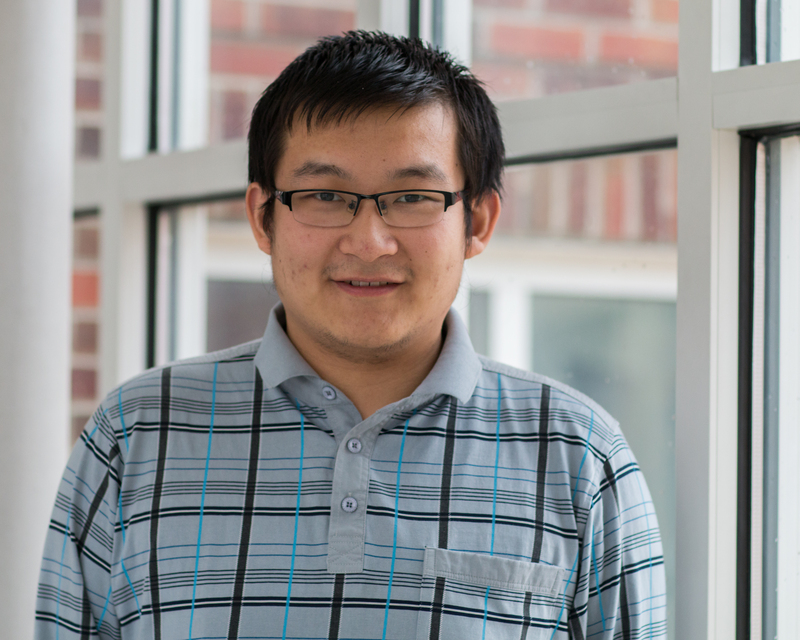 For his thesis, Li plans to work on theory aspects of quantum machine learning and optimization. Last year, Li published articles on quantum query complexity and quantum algorithms. He has also co-authored an article with Childs in Quantum Information and Computation entitled “Efficient Simulations of sparse Markovian quantum dynamics." This summer Li will be working with David Gosset, PhD, researcher and manager of the theory of quantum algorithms group at IBM’s T.J. Watson Research Center in Yorktown Heights, New York. Li credits Professor Andrew Childs' research and close work with graduate students for his decision to study quantum computing at Maryland. “Working with Andrew is fantastic. I decided to come to Maryland as he is one of the top scientists in the field,” he said. Li also commended Childs' ability to converse well and easily with graduate students about all aspects of quantum computing--from broad, high-level, concepts in the field to specific technical details. “Andrew’s advice for the last three years is a reason why I received this IBM PhD fellowship,” said Li. Professor Childs has also noted Li's commitment to collaborative work. About his student Childs said, "Tongyang is an impressively independent student who has already cultivated collaborations across QuICS and with many researchers at other institutions. His internship at IBM will be a great opportunity for him to engage with one of the leading quantum information groups and to broaden his perspective on the field." Li's interest in quantum computing began when he was an undergraduate. He was introduced to quantum computing through an course at Tsinghua University, where he majored in computer science and mathematics. “I thought that it [the quantum computing course] was a terrific experience, and I found that it really suited my background,” he said. When asked to give advice to undergraduates who are interested in quantum computing at the graduate level, Li encourages future experts to spend time learning mathematics--specifically linear algebra--in addition to computer science. “When you get to graduate school it is important to maintain an open mind about what to study. It is important to have an ability to learn things quickly as well, but a strong mathematical background is a must,” he said. T. Li and Wu, X., “Quantum query complexity of entropy estimation", 2017. A. M. Childs and Li, T., “Efficient simulation of sparse Markovian quantum dynamics”, Quantum Information and Computation, vol. 17, pp. 901-947, 2017. IBM created the PhD Fellowship program in the 1950's to recognize and support outstanding graduate students. The IBM PhD Fellowship Awards Program is an intensely competitive worldwide program, which honors exceptional PhD students who have an interest in solving problems that are important to IBM and fundamental to innovation in many academic disciplines and areas of study. This includes pioneering work in: cognitive computing and augmented intelligence; quantum computing; blockchain; data-centric systems; advanced analytics; security; radical cloud innovation; next-generation silicon (and beyond); and brain-inspired devices and infrastructure.